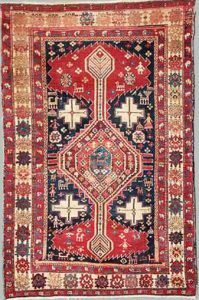 The Caucasus Mountains, between Persia and Russia are justly famous for their colorful, geometric antique scatter rugs and runners woven in hundreds of rustic villages in an almost infinite number of styles. Rug weaving began in the Karabagh area in the 17th century, but the best and most available antique Caucasian rugs of any type are from the second half of the 19th century. Bearing in mind that there are numerous distinct types and innumerable subtypes, we will list a few of the more salient varieties. From the SW Caucasus, expect lush, high pile rugs; eye catching, vigorous geometries; and broad areas of brilliant natural dyes. 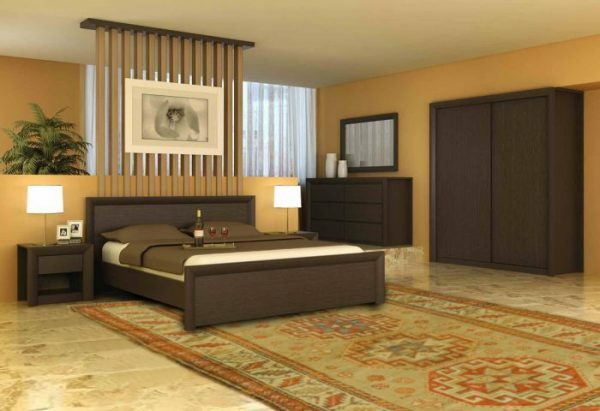 Kazak rugs are the sine qua non-of antique Caucasian rugs. 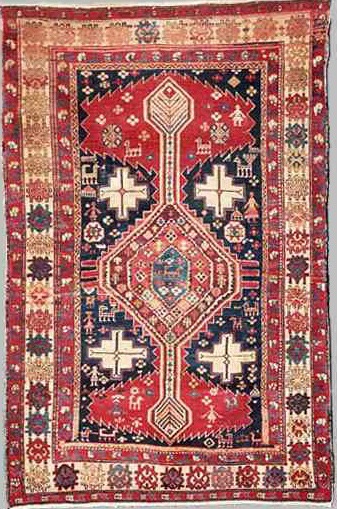 These types of antique Caucasian rugs were woven in the eastern part of the region, mostly along the west coast of the Caspian Sea. They display intricate designs, often in prayer (niche) formats; shorter, often velvety piles; complex color palettes; and relatively fine weaves. Their design complexity rivals the best antique Persian tribal rugs. 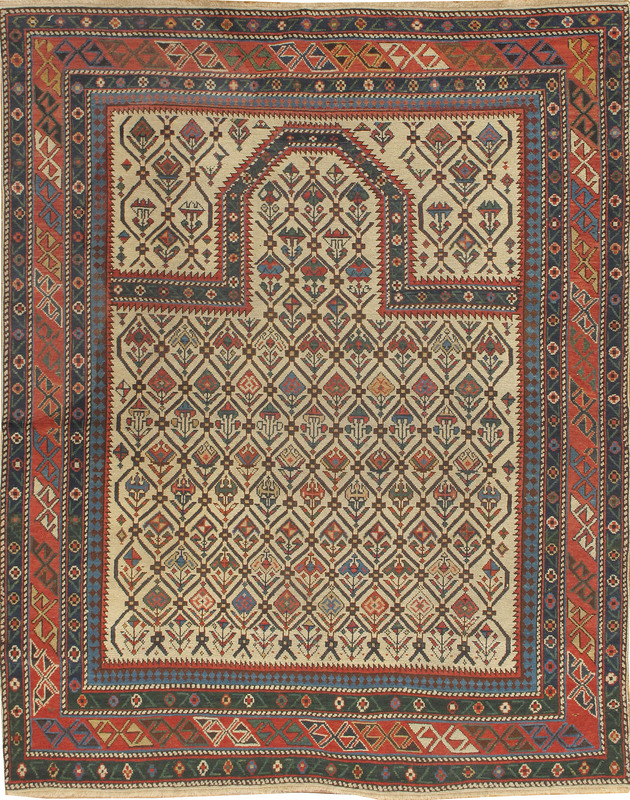 Other Caucasian types include Gendje, Lesghi, Moghan and Talish Rugs. 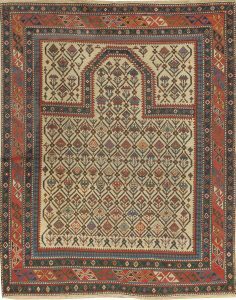 A sub-type of the Kuba rug, antique Seychour (also known as Seichur and Zeychour) rugs are made in the small town of Yukhari-Zeykhur in Azerbaijan in the Northeast Caucasus. Prized for the detailed precision of their drawing and design as well as for their saturated colors, antique Seychour rugs popularly display designs such as cabbage rose and the Seychour cross. Differing from other Caucasian rugs, antique Seychour rugs do not share the same symmetry in their borders; they do however, share a similar flat-woven structure.